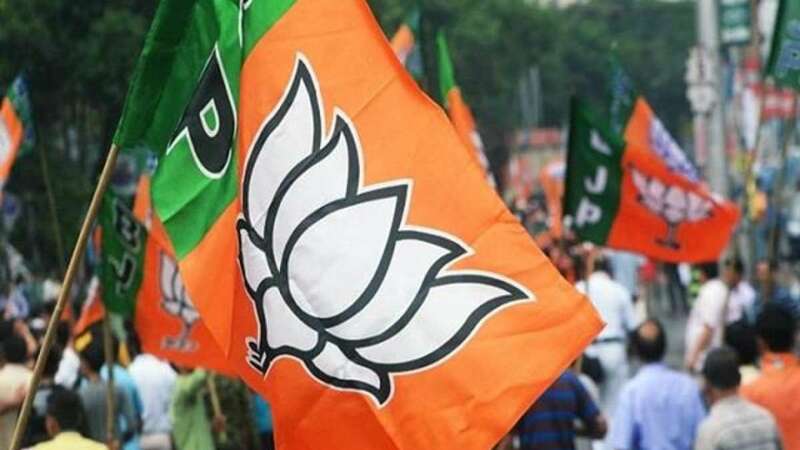 Chandigarh : Haryana's ruling Bharatiya Janata Party on Wednesday won the posts of mayor in all five municipal corporations in the state. Results of the municipal elections, held on Sunday, were declared on Wednesday. Expressing happiness over the victory of mayoral candidates of BJP in all the five Municipal Corporations with a huge margin, Haryana Chief Minister Manohar Lal Khattar said by giving mandate in BJP's favour, the people of the state have put their stamp on the welfare policies of the present government. "We are enthused by the poll results and hope that the people would continue to support us in the forthcoming Jind by-election, Lok Sabha and Vidhan Sabha elections slated to be held in 2019," Khattar told media after declaration of the results. Elections to Municipal Corporations of Karnal, Panipat, Yamunanagar, Rohtak and Hisar and municipal committees of Jakhal Mandi in Fatehabad and Pundri in Kaithal were held on December 16. Khattar said the party registered the biggest victory in Panipat mayoral poll in which the BJP candidate won with a huge margin. "The victory assumes special significance when the election was fought between BJP versus all (others). Had all the opposition parties contested the elections on their symbols, we would have won with much higher votes. There are many other councillors also who have expressed their faith in the BJP after their victory," Khattar said. The Chief Minister said there were apprehensions about the timing of the elections to five corporations and two municipal committees in the wake of the assembly elections in other states where the BJP lost power. "It was being considered that the time was not right for these elections as it could have put an impact on the outcome of civic bodies' polls in Haryana. But the people have put their stamp on the transparent working culture of present state government which has been working for the welfare of all sections of the society without any consideration for caste and religion," Khattar said. State Election Commissioner Dalip Singh said for the first time in Haryana, the election of the Mayor was conducted by direct poll. The voters were given the option of NOTA (none of the above) for the first time in the electronic voting machines (EVMs). BJP candidate Gautam Sardana defeated his opponent Rekha with a margin of 28,091 votes for the post of Mayor in Hisar Municipal Corporation. Gautam Sardana received 68,196 votes whereas Rekha received 40,105 votes, a spokesman said. In the Karnal Municipal Corporation, BJP candidate Renu Bala won the Mayor's post by defeating Asha Wadhwa by 9,348 votes. Avneet, a BJP candidate, won the Mayor's post in Panipat Municipal Corporation by defeating Anshu Pahwa by a margin of 74,940 votes. In Rohtak, the Mayor post was won by BJP candidate Manmohan Goyal who defeated Sita Ram by 14,776 votes. BJP candidate for the Yamunanagar Mayor's post, Madan Singh defeated Rakesh Kumar by a margin of 40,678 votes.